Chhattisgarh High Court is inviting online application form for filling up 225 Assistant, DEO & other vacancies. Applicants those are interested and eligible for CG High Court Recruitment 2018 may apply from 13.11.2018. The last date of submission Chhattisgarh HC Vacancy Online Form is 02.12.2018. You can apply online through directly from below link. Furthermore information such as eligibility criteria, application fees, selection process & how to apply for CG High Court Jobs 2018?? is mention below. Therefore, you require to read out full information properly. Important Dates of CG High Court Vacancy 2018 – What is the Last Date of Apply Online For CG High Court Assistant Jobs? How I Fill Online Application For CG High Court Recruitment 2017 ? Fresh News as on 29.11.2018: CG High Court Registration Online Form is available on below link. Applicants those are interested and fulfill eligibility conditions may apply online till on 02.12.2018. The examination will going to held on January 2019. Candidates who want to apply for CG High Court Assistant Recruitment 2018 must fulfill eligibility criteria also. Participants must check given below education qualification, age limit and other details to check their eligibility. Applicant must ensure that they must fulfill given eligibility criteria if they are going to apply for CG High Court Recruitment 2018. If you are going to apply for Chhattisgarh HC Recruitment 2018 then you must be Graduate from any recognized university. Applicants also have a one-year diploma in Computer from ITI or any recognized Board/University. Furthermore, details check CG High Court Recruitment 2018 official advertisement. The age criteria is made as on 01.01.2018. Candidates those are going to apply for CG High Court Vacancy must complete 21 years. The maximum age for candidates should be 30 years. Chhattisgarh domicile candidate should not be more than 40 years. Upper age relaxation is applicable for CG High Court Assistant Jobs 2018. Applicants will get selected on the basis of written examination, skill test, and personal interview. For CG High Court Assistant Recruitment 2018 the department will conduct written examination for all given vacancy. After that, a skill test is organized and then candidates will call for the personal interview round. Applicant must qualify the written examination. Here in below section, we mention written exam pattern of CG High Court Vacancy 2018. For more details check Chhattisgarh High Court Jobs 2018 Exam Syllabus. After selection of the candidates, they will also get an attractive salary. Applicants will receive their salary as per their pay matrix level. Here in below section, we mention posting wise pay matrix level of CG High Court Jobs 2018 for Assistant posts. interested and eligible candidates may apply through online mode for CG High Court Recruitment 2018. Before going to fill the application form candidates must have valid email id and mobile no. Applicants also collect scan copy of photograph & signature to filling up CG High Court Vacancy online form. Now follow some given below instructions. First of all, candidates go to the official site of CG Vyapam i.e cgvyapam.choice.gov.in. Download Full advertisement of Chhattisgarh HC Assistant Recruitment 2018. 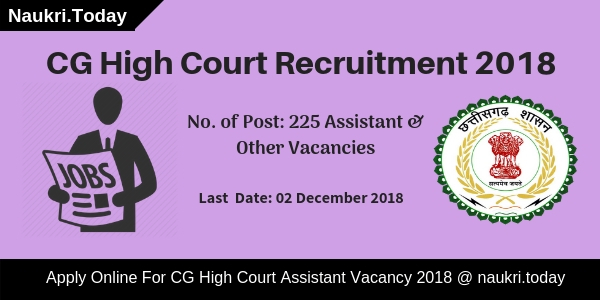 Now go to apply online for CG High Court Assistant Vacancy 2018. Enter all require information such as personal and educational. Upload signature & photograph on your CG High Court Recruitment Online Form. Make payment of application fees if required. If you filled your application form then you may also be required to recheck it. Submit your CG High Court Assistant Jobs 2018 Application Form successfully. Now take the hard copy of it for future reference. Conclusion: Chhattisgarh High Court has released notification for recruitment of 225 Assistant, DEO & Other Vacancy. The online registration of CG High Court Recruitment 2018 is starting from 13.11.2018. Candidates can submit their CG High Court Assistant Job online form till on 02.12.2018. After that, candidates will call for written examination in January 2019. CG High Court Recruitment 2018 – Chhattisgarh High Court has issued notification for filling up stenographer Post. 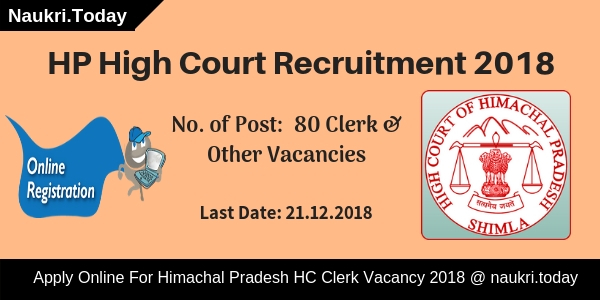 There is 61 Vacancies are available for CG High Court Jobs 2018. Interested applicants should check here qualification, age, and selection process details. Eligible Applicants should fill up their application form from 20 September 2018. Offline registration for stenographer Post will be closed on 12 October 2018. For more information regarding CG High Court Vacancy 2018. Chhattisgarh High Court is going to conduct written examination for appointing candidates on 61 Stenographer Vacancies. Participants can fill up their application form 20. September 2018 to 12 October 2018. Before applying aspirants should check here eligibility criteria for CG High Court Recruitment 2018. Here we gave you links to download Chhattisgarh HC Notification. Candidates should fill up their application form carefully otherwise, their forms will be rejected. Participants should check here education qualification, age, and pay scale for Chhattisgarh HC Jobs 2018. Aspirants should download Official CG High Court Notification 2018 from links given here. Participants must have Graduation Degree are eligible for CG High Court Jobs 2018. Candidates must have passed Shorthand Examination and Typewriting Examination in English Shorthand. Participants should pass typewriting examination at 80 words per minute or 30 words per minute respectively. For further more details aspirants should read official Notification of CG High Court Recruitment 2018. Applicants must be 21 years old and not more than 30 years old are eligible for Chhattisgarh HC Bharti 2018. Upper age relaxation is given to candidates as per government rule. Candidates who fit in this age criteria may fill up their application form and send it to given address before the last date. Check Official Notification for more information regarding CG High Court Vacancy 2018. The Department will pay Rs. 38100/- to Rs. 120400to the selection Candidates. Participants will get their salary according to Level – 9 for CG High Court Recruitment 2018. Read official notification for Chhattisgarh HC Vacancy 2018. Candidates will get select on the basis of written examination and Skill Test. Candidates firstly appear in written examination. Participants who qualify in written examination will get take part in Skill Test for CG High Court Bharti 2018. Final Selection of applicants should be done on the basis of marks obtained in written examination and Skill Test. For Further more information applicants should consult to official Chhattisgarh HC Notification 2018. Candidates who are going to fill up application form for CG High Court Recruitment 2018 may check here eligibility criteria form above article. Participants who fit in Eligibility criteria may download application form links given here. Aspirants must send their form at given address on Time. Follow these easy and simple steps to download Official Notification of Chhattisgarh HC Jobs 2018. Candidates should log on to official Website of Chhattisgarh HC i.e highcourt.cg.gov.in. Now Search for CG High Court Recruitment Section At Homepage. After that Click on Advt. PDF. After that aspirants may download application form from here. Candidates should fill it and send it to given address. Conclusion: Chhattisgarh High Court Department has published notification for 61 Stenographer Posts. Candidates should collect here qualification, age, and pay scale for CG High Court Recruitment 2018. Further more information check the above article carefully. Dear Applicants, Chhattisgarh High Court is inviting application for recruitment of 132 Stenographer, Assistant & Other Vacancy. Those candidates who are waiting For CG High Court Recruitment 2017 can apply prescribed application form For 132 various Vacancies. Eligible applicants may submit prescribed form For Chhattisgarh High Court Vacancy on or before the last date 30.01.2017.Chhattisgarh High Court (CGHC), Bilaspur has recently released notification for 132 Stenographer, Assistant & Other Vacancy. This is great job opportunity for all the candidates who are searching Jobs in Chhattisgarh State. You can submit CG High Court Vacancy Application form before the closing date. For more information about Chhattisgarh High court Recruitment 2017 check given below details. 1. Stenographer (Eng.) 39 Post Rs. 9,300/- to 34,800/- + GP Rs. 4,300/-. 2. Stenographer (Bilingual) 01 Post Rs. 9,300/- to 34,800/- + GP Rs. 4,300/-. 3. Translator 05 Post Rs. 9,300/- to 34,800/- + GP Rs. 4,200/-. 4. Hindi Stenographer 01 Post Rs. 5,200/- to 20,200/- + GP Rs. 2,800/-. 5. Assistant Librarian 03 Post Rs. 5,200/- to 20,200/- + GP Rs. 2,800/-. 6. Assistant Grade – III 76 Post Rs. 5,200/- to 20,200/- + GP Rs. 1,900/-. 7. Assistant Grade – III (Computer) 02 Post Rs. 5,200/- to 20,200/- + GP Rs. 1,900/- + SP 200/-. 8. 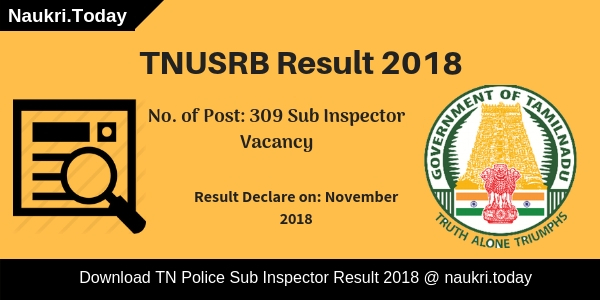 Assistant Grade – III (Photocopy Operator) 03 Post Rs. 5,200/- to 20,200/- + GP Rs. 1,900/-. 9. Library Assistant (A.G. III) 01 Post Rs. 5,200/- to 20,200/- + GP Rs. 1,900/-. 10. P.B.X. Operator 01 Post Rs. 5,200/- to 20,200/- + GP Rs. 1,900/-. Stenographer Vacancy (Hindi/ English/Bilingual) : Applicants should have completed Graduation Degree from recognized University & Must have passed Shorthand Examination/Typewriting Examination for applying Form For CG high Court Stenographer Vacancy 2017. Translator Post : Law Graduate From any recognized University is required for this post. Assistant Librarian : Applicants must have done Bachelor’s Degree/ Master’s Degree in Library Science or Library and Information Science from recognized University For CG high Court Recruitment 2017. Assistant Grade III Post : Candidates should have done Graduation degree form any authorized University. Applicants should also have Diploma Course in Computer for applying Chhattisgarh HC Assistant Grade III Vacancy 2017. Assistant Gr III (Computer) :Graduation Degree in any stream from authorized University with Post Graduate Diploma in Computer is required for applying application for this post. Remaining Vacancy : Candidates should have done Bachelor’s Degree in respective trade from authorized Institute fro CG High Court Vacancy 2017. you can full details about Required qualification from official notification. Minimum age of the candidates for CG High Court Recruitment 2017 should be 21 years & Upper age must be 30 years as on 01.01.2016 for Chhattisgarh HC Stenographer Jobs. Relaxation in age is applicable up to 05 years for SC/ST/OBC Category candidates & for other will be applicable as per Department Norms For Bilaspur CGHC Vacancy 2017.. There is no need to pay any application fee for applying CG High Court Jobs application form. Department will paid pay band for selected candidates as per Normalization for CG High Court Vacancy 2017. Check post wise pay scale for Chhattisgarh High Court jobs 2017 which is given in above table. First of all log on to the official website www.highcourt.cg.gov.in. Now click on Recruitment Section & Click on CG High court Jobs Notification link. Read all the instruction from notification carefully. Fill all the details in application form correctly. Attach recent passport size Photo & required documents with application form. Than send the application on correct postal address. Conclusion: CG High Court Recruitment 2017 For 132 Stenographer, Assistant Gr III & Other Vacancy. Candidates should apply application form for High Court Chhattisgarh Recruitment 2017 on or before the last date 31.01.2017.